Free telephone Interpreter Services are available 24 hours a day, 7 days a week. Services got hearing-impaired members are available through California Relay Service (TTD/TTY 1-877-735-2929). The following guide summarizes all regulatory agency requirements including Title VI of the Civil Rights Act of 1964, Department of Health Care Services (DHCS) contractual requirements, Medi-Cal Managed Care Division (MMCD) Policy letters, the Centers for Medicare & Medicaid Services (CMS) and the National Committee for Quality Assurance (NCQA). Record each patient’s language preference in his medical record. Post the “Free Interpretation Services including American Sign Language” sign at key points of contact. This sign informs patients who are Limited English Proficient (LEP), hard-of-hearing or deaf that free interpreter services are available to them. The health plans provide over-the-phone, face-to-face and American Sign Language interpreter services for patients who are LEP, hard-of-hearing or deaf. These services are free to you and your patients. Over-the-phone interpreter services: These services are available 24 hours a day, 7 day a week. The attached matrix provides the phone numbers to get an interpreter on the phone for all Preferred IPA-contracted plans. Also, please refer to the Care1st “Protocol for How to Access Interpreting Services” sheet. Face-to-face interpreter services: Call the Member Services Department of the health plan. Requests must be made with advance notice (amount of days varies depending on the interpreter vendor). To communicate over the phone: You can place calls and receive calls from patients using the California Relay Service (CRS) by dialing 711. The CRS is free and available 24 hours a day, 7 days a week. American Sign Language onsite interpreter services: Call the Member Services Department of the health plan. Requests must be made with advance notice (amount of days varies depending on the interpreter vendor). Your after-hours Answering Services staff and on-call physician/nurses know how to connect with over-the-phone interpreter services and CRS. Please refer to the “Protocol for How to Access Interpreting Services” sheet. 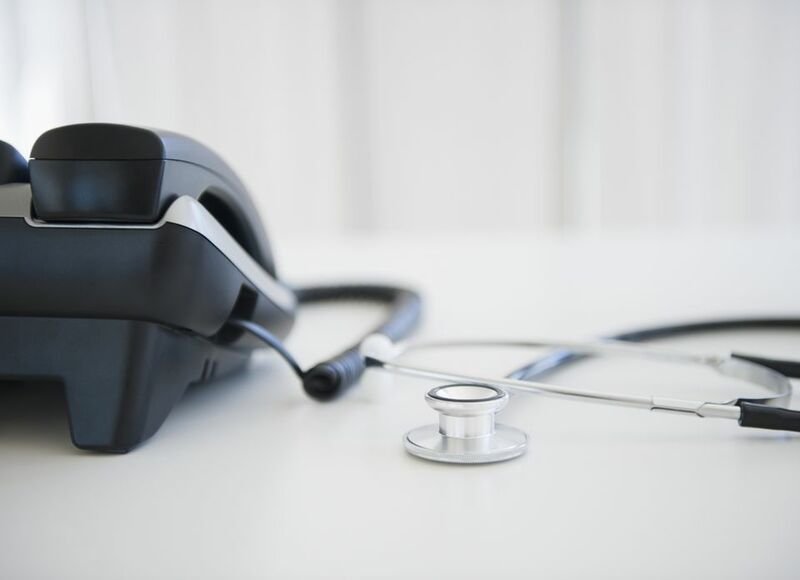 Your answering machine message instructs patient to call their Health Plan to connect with interpreter services. Discourage patients from using friends and family members as interpreters. Do not use minors to interpret unless there is an emergency. If a patient requests or refuses interpreter services after being informed of his right to free interpreter services, file a completed “Request/Refusal Form for Interpreter Services” in his medical chart. These forms are available in a variety of languages, including threshold languages. Please call Liza Johnson at 818-265-0800, x232 to request these forms. threshold languages. Please call Liza Johnson at 818-265-0800, x232 to request these forms. referral in the patient’s record. communicate with patients in a language other than English. which includes number of years worked as interpreter). assistance. You may download materials from www.care1st.com. with Disabilities. Programs are available through Care1st, L.A. Care and other agencies.